Turkmenistan possesses a formidable resource base for industry, although that base was not utilized to build diversified industry in the Soviet period. In the post-Soviet period, extraction and processing of natural gas and oil remain the country's most important industrial activities. 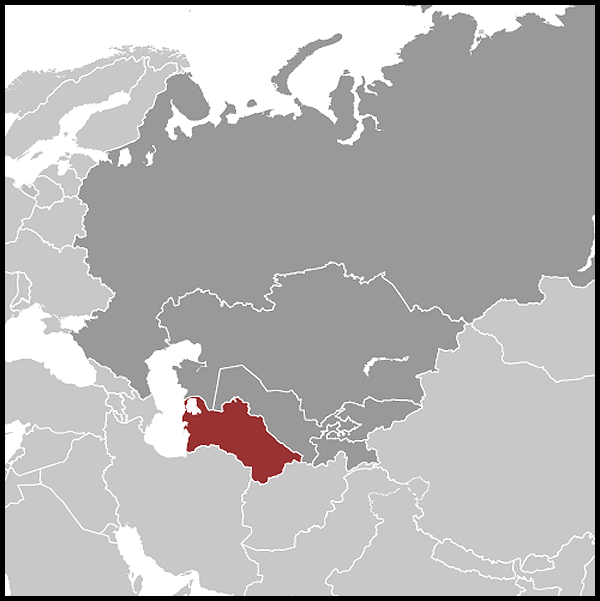 Turkmenistan did not inherit a substantial industrial base from the Soviet Union. Beginning in the 1970s, Moscow made major investments only in the oil and gas production and cotton-processing sectors. As a result, industry is highly specialized and potentially vulnerable to external shocks. Well-developed cotton ginning, natural gas, and cottonseed oil dominate at the expense of other sectors, such as the petrochemical and chemical industries, cotton textile production, food processing, and labor-intensive assemblage, in which Turkmenistan has a comparative advantage. The shocks of independence slowed industrial production in the early 1990s. In the first half of 1994, macroeconomic fluctuations caused by the introduction of the manat as the national currency and limitations placed on gas exports caused aggregate industrial production to fall to 68.3 percent compared with the same period in 1993. The price index for industrial producers was 858 percent, indicating runaway inflation in this sector. Turkmenistan ranks fourth in the world to Russia, the United States, and Canada in natural gas and oil extraction. The Turkmenistan Natural Gas Company (Turkmengaz), under the auspices of the Ministry of Oil and Gas, controls gas extraction in the republic. Gas production is the youngest and most dynamic and promising sector of the national economy. Turkmenistan's gas reserves are estimated at 8.1-8.7 trillion cubic meters and its prospecting potential at 10.5. trillion cubic meters. The Ministry of Oil and Gas oversees exploration of new deposits. 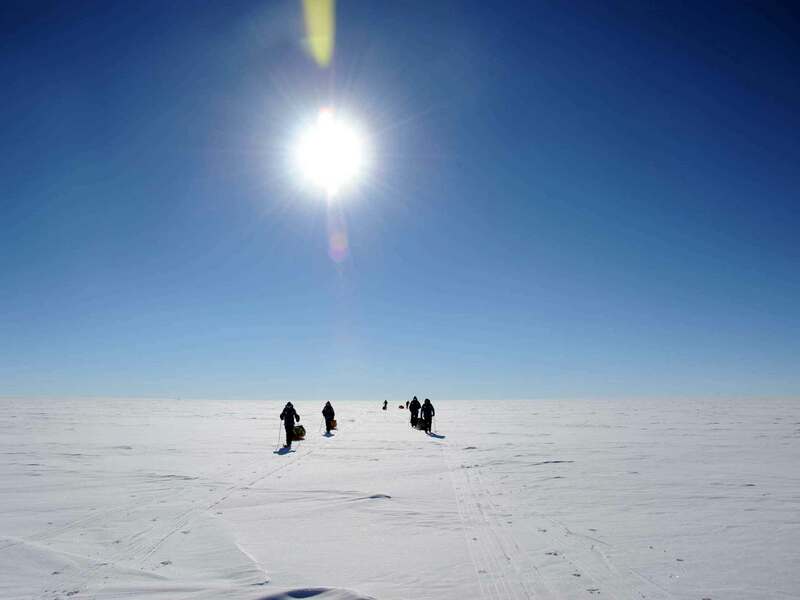 Sites under exploration are located in Mary Province, in western and northern Turkmenistan, on the right bank of the Amu Darya, and offshore in the Caspian Sea. 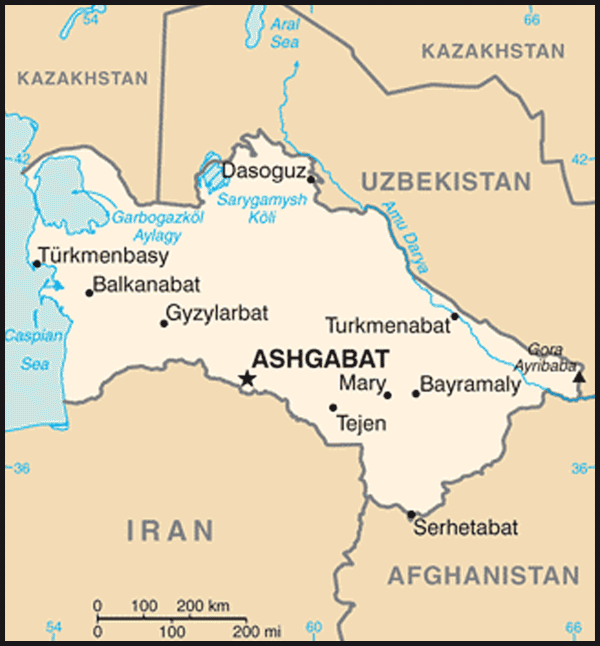 In 1958 Turkmenistan produced only 800,000 cubic meters of natural gas. With the discovery of large deposits of natural gas at Achak, Qizilqum, Mary, and Shatlik, production grew to 1.265 billion cubic meters by 1966, and since then the yield has grown dramatically. In 1992 gas production accounted for about 60 percent of GDP. As a result of a dispute with Ukraine over payments for gas deliveries, in 1992 gas production fell by 20 billion cubic meters to around 60 billion cubic meters. In the first eight months of 1994, transportation restrictions forced Turkmenistan to cut gas production to 26.6 billion cubic meters, only 57 percent of the production for the same period in 1993. An additional factor in this reduction was the failure of CIS partners, to whom Russia distributes Turkmenistan's gas, to pay their bills. Most of Turkmenistan's oil is extracted from fields at Koturdepe, Nebitdag, and Chekelen near the Caspian Sea, which have a combined estimated reserve of 700 million tons. The oil extraction industry started with the exploitation of the fields in Chekelen in 1909 and Nebitdag in the 1930s, then production leaped ahead with the discovery of the Kumdag field in 1948 and the Koturdepe field in 1959. All the oil produced in Turkmenistan is refined in Turkmenbashy. Oil production reached peaks of 14,430,000 tons in 1970 and 15,725,000 tons in 1974, compared with 5,400,000 tons in 1991. Since the years of peak production, general neglect of the oil industry in favor of the gas industry has led to equipment depreciation, lack of well repairs, and exhaustion of deposits for which platforms have been drilled. Besides petrochemical processing at the Turkmenbashy and Chärjew refineries, the chemicals industry is underdeveloped in comparison with the potential provided by the republic's mineral and fuel resources. The industry has specialized in fertilizer for cotton at the Chärjew superphosphate plant and such chemicals as sulfur, iodine, ammonia, mirabilite, salt, and various sulfates at the Turkmenbashy facility. Because of the ready availability of natural gas, Turkmenistan is a net exporter of electrical power to Central Asian republics and southern neighbors. The most important generating installations are the Hindukush Hydroelectric Station, which has a rated capacity of 350 megawatts, and the Mary Thermoelectric Power Station, which has a rated capacity of 1,370 megawatts. In 1992 electrical power production totaled 14.9 billion kilowatt-hours. Turkmenistan's machine building capability has not developed significantly since the conversion of agricultural repair installations for that purpose in Ashgabat and Mary in the late 1960s. Goods produced at these plants include dough kneading and confectionery mixing machines, ventilators, centrifugal oil pumps, gas stove pieces, cables, and lighting equipment. Construction has grown as a result of a shift in state investment toward housing, education, and joint enterprises. Since 1989, construction has accounted for around 10 percent of the GDP. Building materials produced in the republic include lime, cement, brick and wall stone, ferro-concrete structures, asbestos-concrete pipes, silicate concrete, lime, brick, slate, and glass. Most food processing consists of rendering cottonseed oil and such related products as soap and grease from cotton plants. Because of the distance between plants and farms and an inadequate transportation infrastructure, only 8 percent of the fruits and vegetables grown in the republic are processed. Other processing capabilities include winemaking, brewing, baking, meat packing and processing, and production of table salt. Turkmenistan's carpets are famous for their density, which reaches 240,000 knots per square meter in some traditional weaves. The Turkmenistan Carpet Production Association supervises ten carpet factories, but home looms account for a substantial share of production. Other traditional crafts include the fashioning of national clothing such as wool caps and robes, galvanized dishes, and jewelry in forms that state enterprises do not produce or supply. In the mid-1990s, other light industries provided secondary processing of cotton, wool, and silk for yarn, some finished textiles, and wadding. Editor's Note: Country Studies included here were published between 1988 and 1998. 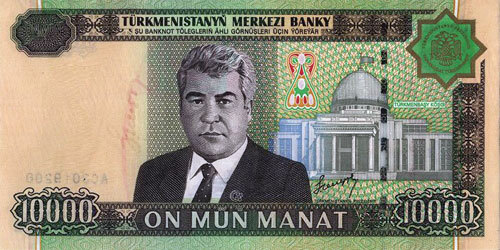 The Country study for Turkmenistan was first published in 1996. Where available, the data has been updated through 2008. The date at the bottom of each section will indicate the time period of the data. Information on some countries may no longer be up to date. See the "Research Completed" date at the beginning of each study on the Title Page or the "Data as of" date at the end of each section of text. This information is included due to its comprehensiveness and for historical purposes.